This is Australia's biggest and prettiest city, and there is always lots of stuff to do. I have lived in various parts of Sydney, and in the Blue Mountains to the west. I visit occasionally on ships or with tour programmes. I never get sick of (visiting) this beautiful city. There is a lot of potential for nature and wildlife experiences not too far from the city, as it is surrounded on all sides by natural areas: the ocean in the east, Ku-ring-gai National Park in the north, Royal National Park in the south, and the Blue Mountains in the west. But even right in the middle of Australia's biggest city there is wildlife. The Botanical Gardens are located next to the Sydney Opera House, accesible by harbour ferries and trains via Circular Quay train station. They include the location of the first farms in the early Sydney colony. They follow along the edge of Sydney Harbour, and if you walk far enough along the curving 'Farm Cove' to 'Mrs Macquaries Point', you can can get to some beautiful sandstone natural sculpturing and great views that include both the Opera House and the Sydney Harbour Bridge. The gardens are big, over 30 hectares, so you'll end up with sore feet trudging around both the gardens and the city. The planted vegetation is a mixture of native and overseas species. 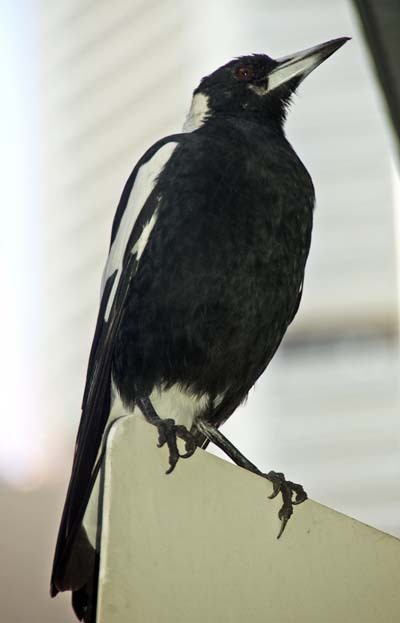 There are number of native birds that can be seen there, most of which are taken for granted by locals, but are they are impressive for first time visitors (and those that don't get sick of seeing wildlife), including Noisy Miners, Sulphur-crested Cockatoos, Rainbow Lorikeets, Laughing Kookaburras, Pied Currawongs, Australian Magpies; in fact, 100 species have been recorded here since 1991. 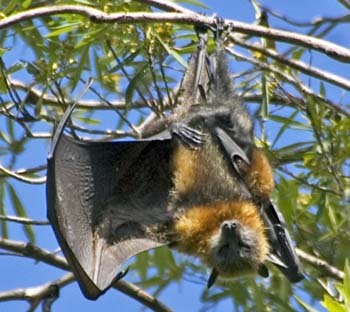 There is also a Bat colony (Grey-headed Flying Fox) right near the cafe. The cafe is OK, and you'll want a coffee and food after walking these distances, but what is great here is the shop, full of plant and wildlife books. There are are even native mammals in the heart of Sydney city. .. The central Hyde Park is bound by Elizabeth street, next to Museum train station. During the day, the park is dominated by the scavenging Australian White Ibis, but if you return just after sunset, and walk around the grassy areas, you should eventually see a cat-sized animal with a big furry tail bounding along like a gigantic squirrel. 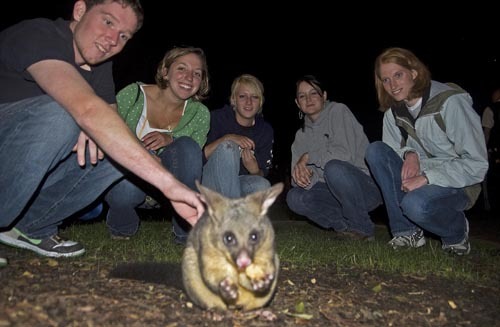 This is the Common Brushtail Possum. These are the ecological equivalent to an American raccoon. They are cute and mischevious. They scavenge from what is left over, and you can feed them to get them to come close, but don't get bitten; they have a hard time distinguishing where your hand ends and the food starts. The brustail is a common urban 'pest' for many Australians, but they are a fascinating and cute animal, and I suspect even though they are common around settlements, they aren't necessarily as common in the natural areas as they used to be.